Ever wondered how guests are invited as experts on TV segments? This month, we have in our panel Valentina from MV Trends and Paula from Mia Mommy, who will share how to pitch your way on to television! Solidify your authority within your niche with TV experience and reach a whole new audience. Valentina Tamayo is a 22-year old Venezuelan fashion blogger living in Miami, Florida. Valentina considers herself a fashion lover who supports the idea that fashion was created for every kind of women regardless of their size, ethnicity or background. Fashion doesn’t have any rules and it doesn’t follow stereotypes anymore! Besides her blog, she is the founder of the Digital Marketing Agency, Trendy Social Marketing. She is also a reporter for Miami Fashion Week and different media outlets including Live Doral Magazine, MFW Mag and Aguapanela. Plus, she is a fashion expert for Despierta America in Univision and Latin Billboards. Paula Zelaya is a producer, TV host, founder of Zetta’s Productions, and creator of the digital platform www.miamommy.com. 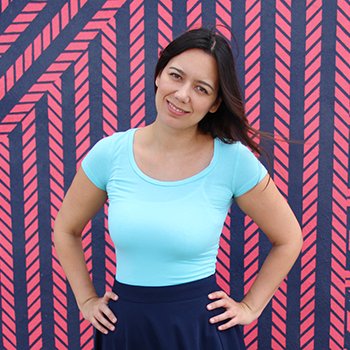 Paula studied TV Production and has been in the media since 2004. She has worked for different networks, including Univision, Telemundo, Nickelodeon, MTV, and has been part of live events like Miami Fashion Week & Pepsi en Vivo. After the birth of her third daughter in 2015, she launched her latest venture fittingly named “Mia Mommy The blog,” a one-stop resource and Spanish-language digital platform dedicated to mothers everywhere. In her blog, Paula shares unrivaled content and practical tips to find the ever elusive balance in all aspects of motherhood. The main idea is to connect with her followers on the most organic way and interact with them in a powerful manner. She resides in Miami with her husband, her mother & three amazing little girls. Thank you to Plomo Tequila & Taco Bar for hosting and providing mimosas and tacos. 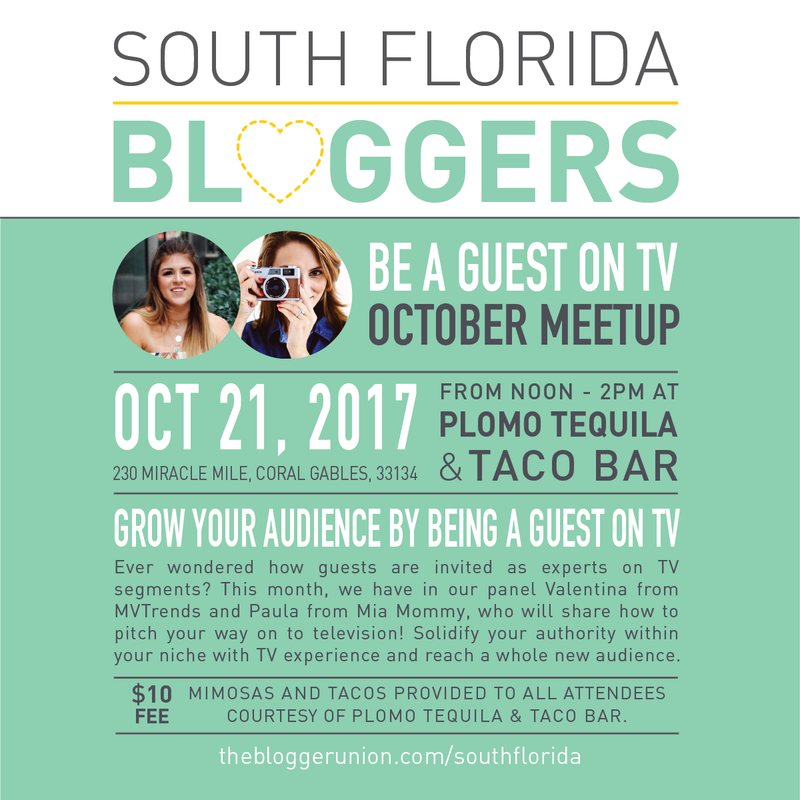 Interested in sponsoring South Florida Bloggers? Contact us! Mei is the Chapter Officer of South Florida Bloggers. She also runs the bilingual style, beauty and travel blog Blame it on Mei.